(Mpr Consulting/Shuzzr PR) - There is no denying that music, fashion and dance go hand in hand, it's hard to think of one without the other and often the line is blurred as to which influences which the most. RepJa came on the scene with a groundbreaking clothing line that broke away from the traditional red, gold and green that one is expected to see when you "Rep" Jamaica. These young designers born and bred in Jamaica and now residing in the States represented what they knew best and drew from their every day life. American street wear influences with nuances of Jamaica’s thriving mix of music, language, reggae dances and culture, and by doing so represented Jamaica "RepJa"! Getting inspiration by music, dances and every day slang, it was a normal progression that RepJa would deliver music to their growing worldwide customers, and what better time than to honor the launch of their first riddim in time to celebrate Jamaica’s 50th Independence Celebration. 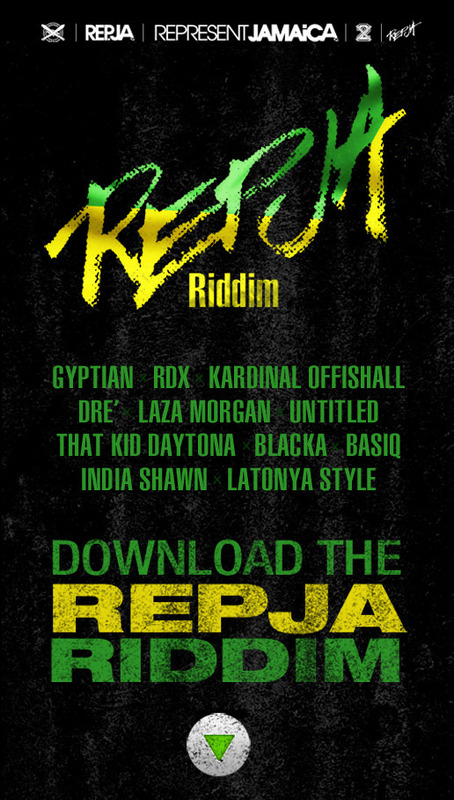 RepJA Riddim represents Jamaica’s diverse culture and features Jamaica’s top Reggae artists Gyptian & Dynamic Duo RDX, Toronto's own Kardinal Offishall, R&B group Untitled (who is signed to Hip-hop superstar Ludacris DTP Label), Laza Morgan, Spanish duo Los Rakas, India Shawn, Atlanta’s hottest local reggae artist Dre', Latonya Style, Blacka Di Dansa, Basiq & Kid Daytona. 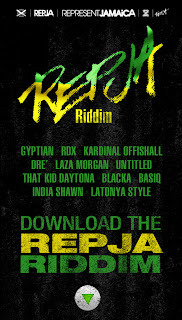 RepJA Riddim embodies the motto "Out of Many, One Riddim". The riddim is blended with diversity featuring a talented mix of Dancehall, R&B, Spanish and Hip Hop artists. RepJA (Represent Jamaica) is a groundbreaking clothing line that is inspired by the colorful yet gritty streets of Jamaica. On July 19th, 2012 The Exclusive Listening Party for the RepJA Riddim was held in Atlanta, GA where various media houses and reggae lovers gathered at club Metro Fuxon to be the first to hear the RepJA Riddim. Many left giving a plethora of favorable reviews. V103’s celebrity DJ (DJ Kash) hosted this celebration. Attendees received gift bags with RepJA logos T-Shirts, rags, stickers and buttons from the RepJA clothing line.